"St. Stephen's Cathedral (more commonly known by its German title: Stephansdom) is the mother church of the Roman Catholic Archdiocese of Vienna and the seat of the Archbishop of Vienna, Christoph Cardinal Schönborn, OP. 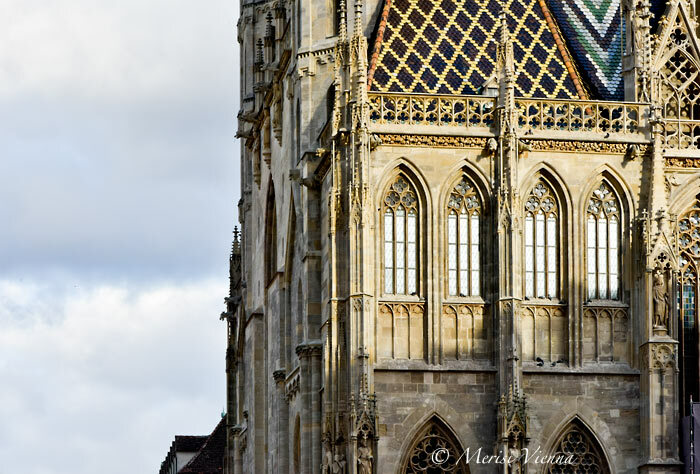 The current Romanesque and Gothic form of the cathedral, seen today in the Stephansplatz, was largely initiated by Duke Rudolf IV (1339–1365) and stands on the ruins of two earlier churches, the first a parish church consecrated in 1147. 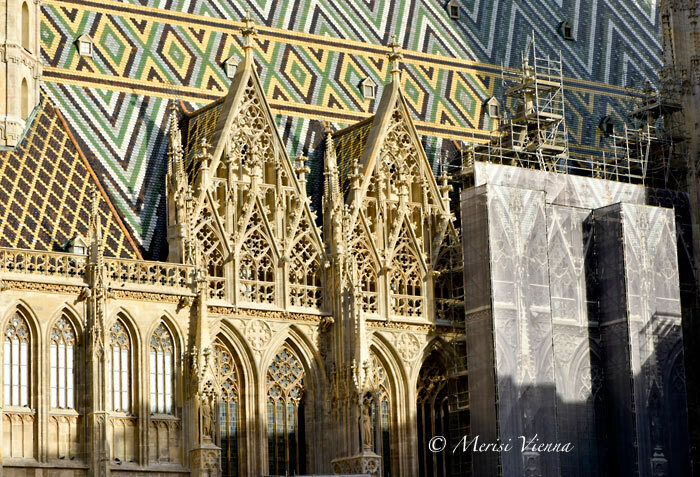 The most important religious building in Vienna, St. Stephen's Cathedral has borne witness to many important events in Habsburg and Austrian history and has, with its multi-coloured tile roof, become one of the city's most recognizable symbols." Exquisite architecture. Happy New Year! Thank you, William, a very happy New Year to you too! The details on a large building contribute to its beauty, but to zero in on capturing them gives me exquisite pleasure. Did you stop blogging for awhile as I was not getting any POSTS from YOU! ?